In the previous post we have touched the Yang aspect of the energy flow in Yiquan practice, today we will discuss the Yin aspect of this training. In the previous post I was describing the path of Qi going downwards, or how you, practitioner, are leading the Qi in downfall current. I also said that this current can be blocked and drained with our mental activities. We live in mentally driven world and we tend to overthink, which is yet another word for the same thing as over-worry etc. However, here, on the Yin side of the scale, we will touch the other aspect and that is the upper current of the energy stream. Energy flow that runs from beneath your feet upwards towards your head and beyond uniting with heavenly Qi. This natural stream, in the opposition to Yang stream, happens on the frontal side of our body/energy system. Over this side which is by definition Yin side runs important Yin reservoir in the body, named Ren Mai extraordinary meridian. However this meridian isn’t the only Yin meridian responsible for Yin energy distribution. There’s also Kidney meridian, especially in the area of legs, and Chong Mai extraordinary meridian that is responsible for the body and head. There are also other Yin meridians involved in this process, like Yin Wei Mai and collaterals which run into the upper extremities. We are emotional beings and we a have a need to be emotive. It is how we react to the surroundings and the conditions we are living. Human emotions connect us. We feel others, we don’t think them. We also appreciate and approve and want more, and we do that with our emotions. And we can also think it, but it feels so much more natural and faster than thinking it. It is the flowing side of our existence. But even though it’s more flowing it tends to be obstructed. Why? Well, first of all we are not only capable of feeling nice and harmonious emotions, but also those that aren’t. We are thought to go beyond our emotions and ignore them making a will our dominant power and our foundation for action, even though the emotions represent our inner compass or sonar, simply our inner guidance. 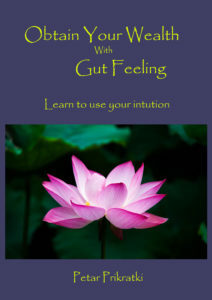 Understanding and listening to emotions is the key to inner wisdom and intuition. Now, since we are never taught how to deal with our inner emotions, unless our parents were some really advanced beings, we are left there frustrated and blocked, closed, shut down… This blockages can happen in any time of your life, even before you were able to express it with words or mimics, so even before you were born. Now this is a huge theme and I won’t go further. Emotions are the »Dragon« of the internal alchemical work and you want to be careful and patient with them and yourself. What I will say further about emotions is that you need to cultivate them and enlighten the themes that you carry with you. Daoists have shown some good ways how to deal with them, one of them is Qigong, the others you will find in their philosophical texts. The best way to deal with energy blockages of the Yin side is meditation, second best is moving exercise. First gives you insights and clarity, the second gives you more space and flow. Since we are talking about the standing meditation practice, you would assume, that only first comes into consideration. However, while you are standing there will be happening small corrections of posture made by you consciously in order to release any tensions, small movements which will come from the whole body movement of body breathing and spontaneous movements, that will happen by themselves, and won’t be generated by your conscious action. You will feel relieve. You might see things internally, but don’t put too much attention to it. It will pass as all does. You should concentrate on your standing practice and building the foundations in posture. 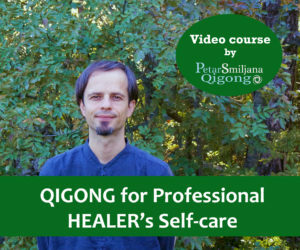 In the advanced levels of cultivating the Energy all those phenomena happens but serious practitioners avoid them and know that those are just manifestations that came from stagnant Qi and blockages. What happens when Qi is blocked? First of all, when the Qi stream is blocked, you don’t get nourished, like you should be. Your whole system is out balance. You are emotionally and energetically out of balance. You might get sick. These are just a few consequences of blocked Qi. So, that is why I do Qigong, to avoid these things and many others that come from such state.